Meet me at “The Bookshelf” in Newmarket, next Saturday! 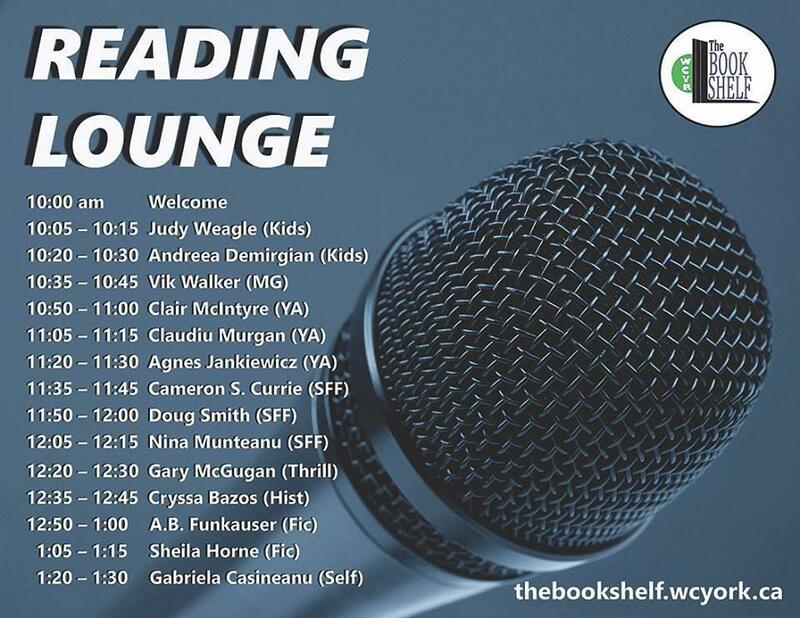 I am very proud to be featured in the Reading Lounge at The Bookshelf, in Newmarket, on July 7th. This amazing bookfair gathers 50 local authors from the York Region and the GTA. It will open its doors in the Newmarket Community Centre & Lions Hall at 10 am. You can find me at the IWA Immigrant Writers Association’s table with some other authors from GTA. I will be in the Reading Lounge at 10.20, to read from my latest book, “I Wish I Were a Unicorn”. Very excited to share the mic with other Romanian writers. Claudiu Murgan and Gabriela Casineanu are also founding members of the IWA Immigrant Writers Association. I have never been to Newmarket until now. However, I hope I will make some new friends, especially among my young readers. Are you a Dragon or a Unicorn? Would you rather go with Team Firefly? Above all, do you believe in magic? Come, learn the stories behind my books and those behind other writers’ work. Rub elbows with local talent. Have a cup of coffee and listen to authors read their favorite passages. Participate in the FREE scavenger hunt, dollar-draws, spot prizes, and go home with a whole new to-be-read pile. Looking forward to meeting you at The Bookshelf!